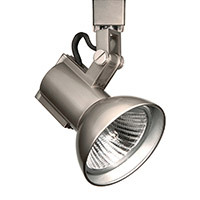 Modern track lighting has come a long way since the peak of its popularity in the 80s. The ultimate contemporary lighting option, track lighting is an easy way to illuminate spaces in modern homes and studios. These lights work well in spaces with both standard and vaulted ceilings and look good in rooms ranging from kitchens to bedrooms. 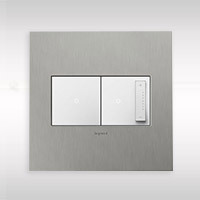 Track light systems are available in various configurations that allow you to have complete creative control. One of the most common areas to put track lighting is in a kitchen. This is an ideal location because you are able to get functional lighting that can be directed wherever you need it most. If you spend a lot of time cooking or baking, track lighting will be the perfect type of fixture for modern kitchens. Other popular places into install track lighting include craft rooms, workshops, home libraries, and offices. In an office setting, track lights beautifully highlight bookshelves or wall art and you can adjust the individual lamps for focused task lighting. Track-style lighting provides the flexibility to focus on tasks that require a keen eye for detail activities such as sewing and woodworking. 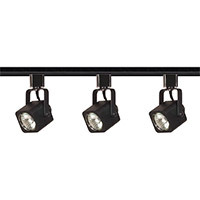 Track lighting consists of more than mundane linear fixtures. 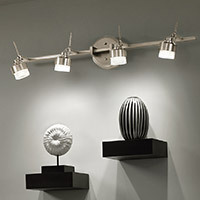 In recent years, there have been several innovative track lighting systems designed to add flair to modern interiors. hese systems evolved to include track pendants from Tech Lighting that combines to the utility of track lighting with the refinement of track lighting pendants. 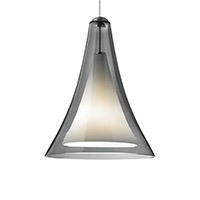 If you’re interested in art glass pendant lighting and bright LEDs, Bruck Lighting offers plenty of stylish options. Brands like WAC Lighting, Kichler, and Nora Lighting stay true to traditional track lighting silhouettes while adding curved, circular, and track lighting spotlights for minimalist spaces. When you are trying to decide on the best track lighting system, you’ll want to consider a few things. First, evaluate the intended space to determine the appropriate lamp size, finish, and the number of lights needed to complete the system. Depending on your space, track lighting pendants will be an obvious choice for more formal areas like dining rooms while single track lights look great in larger spaces like lofts. Aside from single track systems, custom track lighting is another option to consider. 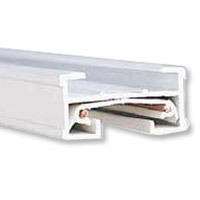 Monorail systems epitomize flexible track lighting because not only can the individual lamps be adjusted to direct light right where you need it, the fixtures can actually be moved along the track as well. Further, monorail systems have a lower profile compared to traditional track lighting, giving complete creative control when coordinating fixtures to match your décor. Aside from design considerations, there are a few more things to take note of when selecting a contemporary track lighting system for your home. For sloped or vaulted ceiling track lighting, a standoff vault adapter kit is essential for installation of monorail lighting systems. If you are having trouble deciding on the best lighting system, speak with a lighting professional for expert advice.